Use the #lockwoodpark hash tag to share your family pictures with us on Facebook, Instagram, and Twitter! 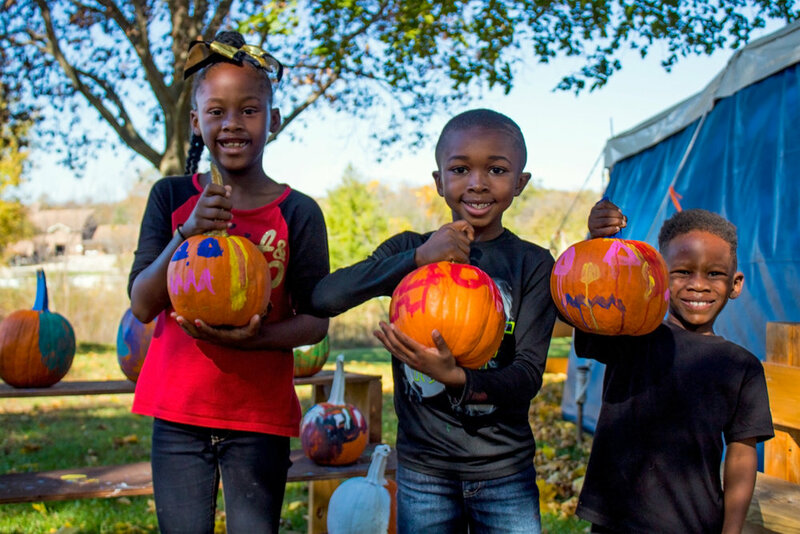 Hand-pick your pumpkins, ride a pony or a horse, enjoy homemade pumpkin bars, or make your own S’mores. Plus, enjoy games, a corn maze, the haunted corn crib, and more. Kids will love interacting with the horses and animals on our working farm. Lockwood’s Pumpkin Fest will feature a variety of low-fee activities as well as free activities and entertainment for kids and adults to enjoy. Lockwood Park provides visitors with a country-type experience. Saturdays - Sundays: 11:00 a.m. - 4:00 p.m. Valid only on date selected at time of purchase; if park is closed due to inclement weather you will be allowed to re-book on an alternate date or receive a refund. Special park areas including Pumpkin Island, Pumpkin Paradise, and more!